The Pinked Edge Scarf has one edge that zig-zags, it reminds me of fabric that has been cut by pinking shears. 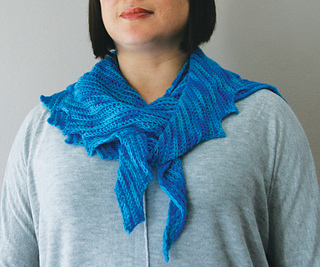 This stunning asymmetrical scarf is a chinch to make and suitable for beginners. 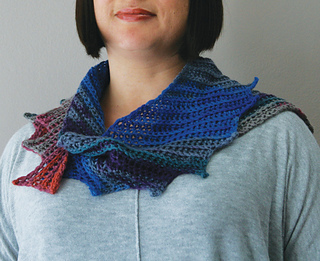 It is crocheted on the bias for a nice drape and really shows off self striping yarns with long repeats. 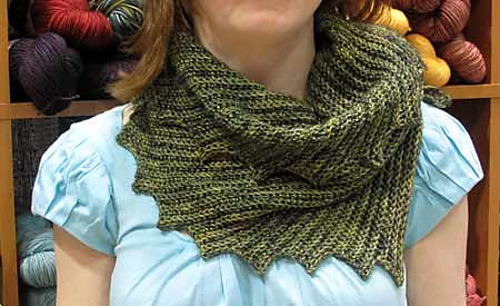 An adaptable pattern that can be made in a variety of yarn weights, not just the two pictured, have fun and experiment a bit.